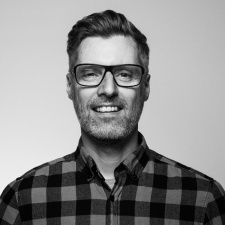 Former Sony Interactive Entertainment Europe head of audio Alastair Lindsay has been hired by music consultant service Cord Worldwide. Lindsay has been brought on board as head of audio for the Keywords-owned company having worked for PlayStation's European arm since 1996 when he joined Sony-owned WipEout studio Psygnosis. In 1999 he moved to Sony Computer Entertainment Europe as a sound designer rising through the ranks to become head of audio in November 2017. “This is an amazing opportunity for me to bring my skills, knowledge and video game industry insight gained over the past 26 years to Cord and Keywords Studios," Lindsay said. Cord Worldwide was snapped up by games service giant Keywords in April 2018 alongside fellow record label Laced Music. "The opportunity to add a brand new Music capability within the Keywords Studios platform is very exciting for us," Jackson said at the time. "Keyword’s clients will now be able to use the full power of music to connect with players; linking in-game experiences to trailers, merchandise and live events. With Cord’s focus on music strategies, we hope to change the way music is created, owned and leveraged within the gaming industry."